Google and Microsoft are fighting on a number of different fronts. The biggest battle is their fight over who is going to own an organization’s productivity platform: G Suite vs. Office 365. That fight at first blush seems to extend to identity management, but when you dig in further, it’s clear that they both have very different view of identity management and cloud identity management. The reasons behind this have to do with each company’s past, but the decisions they’re making now about identity management will have a broad impact on the future. Microsoft Office 365 is facing off against Google G Suite (formerly known as Google Apps). It’s been an uphill battle for Google though, as Microsoft has long dominated the end user platform and productivity space. Many would say that Microsoft used to have monopoly with Windows and Office, and clearly they generated tremendous revenue and profits from the two franchises. Microsoft used that position of strength to insert in their product for identity management, Active Directory, to organizations worldwide. They cleverly made Active Directory a vehicle to lock in customers to Windows as well. It was a self-perpetuating cycle that made Microsoft incredibly successful. As the cloud started to appear however, there was an opportunity to unseat Microsoft in the infrastructure and productivity space. Google picked up on this opportunity and started by attacking Microsoft’s email business. Microsoft Exchange was a major solution for organizations, but it took a great deal of work to manage and implement their on-prem email server. Google offered to host email in the cloud, and while businesses were skeptical at first they quickly found that having Google host their server and email was far easier than having to do it themselves. Google had success in their attacks on Exchange, so they decided to expand their strategy by going after Microsoft Office next. Google realized that they could offer a suite of productivity tools to end users just like Office, except from the cloud and for a fraction of the cost of Office. The strategy worked, and millions of organizations signed up for Google Apps as it was known at the time. This put Microsoft under tremendous pressure, and in 2011 they responded with Office 365. G Suite Directory vs. Active Directory? While G Suite was focused on fighting Exchange and Office, Google didn’t think too much about competing against Active Directory, Microsoft’s directory service. They did introduce Google Apps Directory to be a user management utility for Google Apps users, but they didn’t go after AD with it. 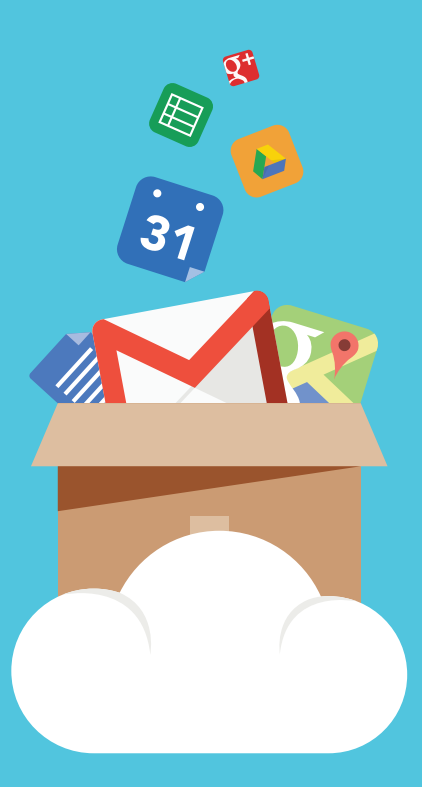 Google Apps Directory has since morphed into G Suite Directory, and the strategy has largely stayed the same. G Suite Directory is a contact database of users and their access to G Suite solutions. Google has expanded the G Suite Directory service to be a web application single sign-on solution supporting a few select web apps leveraging SAML and OAuth, but has made no strides to challenge AD. The questions we often hear regarding G Suite Directory are “Will the future of G Suite Directory will look a lot like an IDaaS solution?” and “Will G Suite Directory be a cloud identity management platform (i.e. cloud directory service)?” Based on Google’s history with G Suite and their level of focus, it seems that G Suite Directory won’t be a fully featured competitor to Active Directory, but rather continue to be tightly integrated with G Suite and Google Cloud. G Suite partners will likely pick-up where G Suite leaves off, and provide the Active Directory alternative that G Suite may have at one point been contemplating. 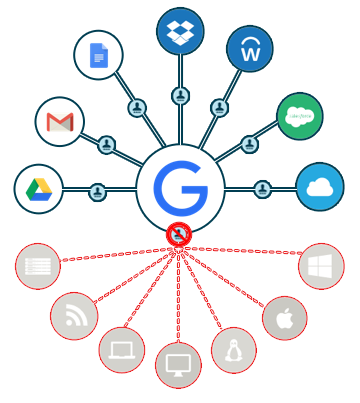 Directory-as-a-Service® is an excellent example of a tightly integrated solution with G Suite that provides IT organizations with an Active Directory replacement. G Suite replaces Exchange, while Directory-as-a-Service replaces Active Directory. This is great for customers that want to shift completely to the cloud and don’t want to be tied to Microsoft technology. It is also a huge win for Google as it eliminates Microsoft solutions in their customer’s account and creating a complete solution for them as well. 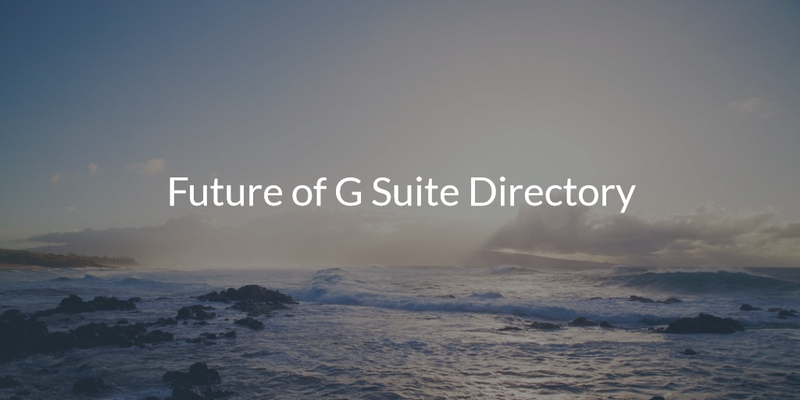 If you would like to learn more about the future of G Suite Directory and why Directory-as-a-Service is that vision, drop us a note. 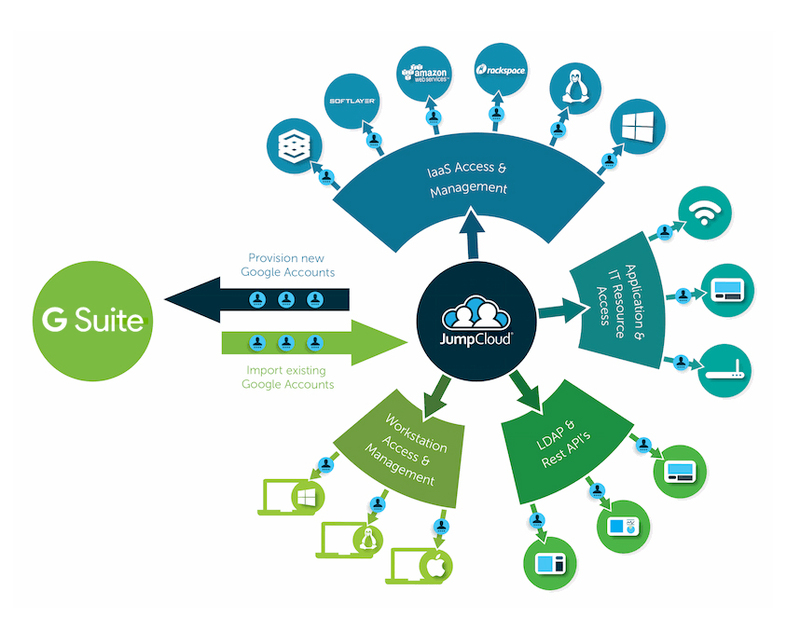 You can also see a video tutorial that shows our G Suite integration in action. If you’re ready to use G Suite to completely eliminate Active Directory from your network, sign-up for a free cloud directory account today and integrate it with G Suite. Let us know how it goes and don’t forget that your first 10 users are free forever.